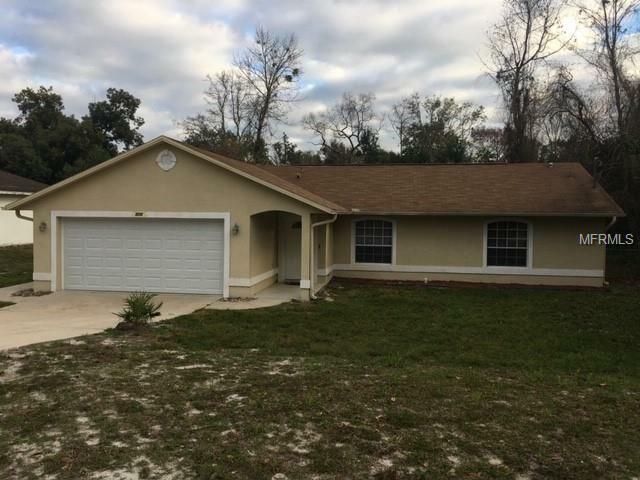 $10K PRICE REDUCTION - Awesome Home, Great Opportunity on a 3/2 Pool home in Deltona. Quiet street, large private wooded lot. This home is completely remodeled. New kitchen, new Quartz countertops with stainless steel appliances. Property has crown molding though out along with upgraded ceiling fans and fixtures. Ceramic tiles flow through the home for easy cleaning. Perfect location, easy commute to Orlando or the beaches. Conveniently located near grocery stores, shopping, schools, restaurants and major highways . Seller providing a one year home warranty to the buyer. Come visit and make this pool home yours.